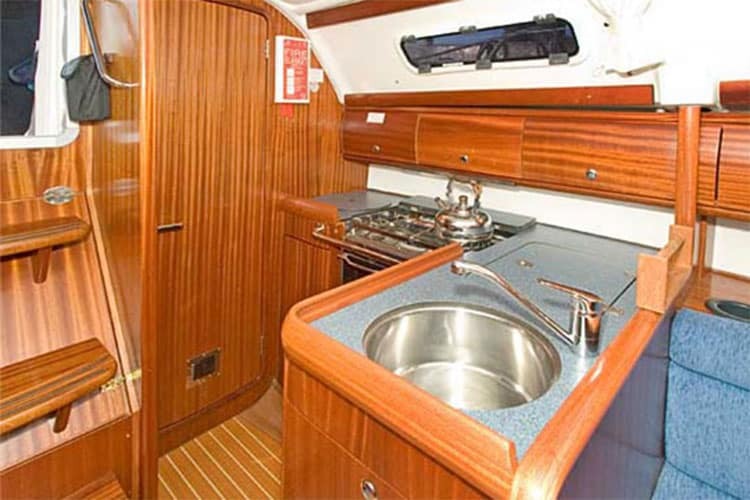 The Bavaria 32 (2005). 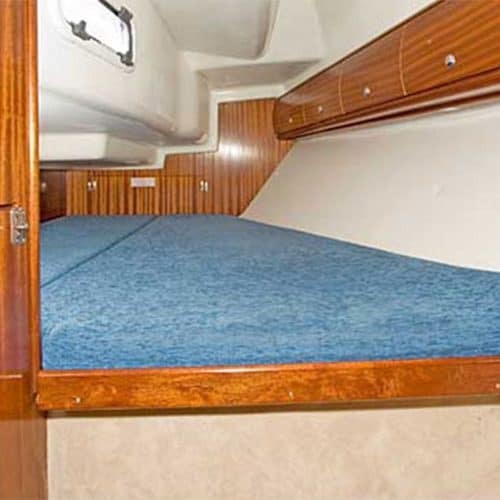 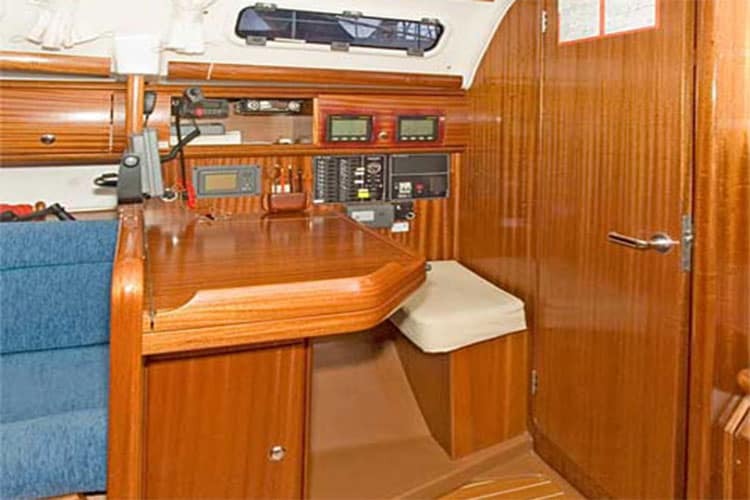 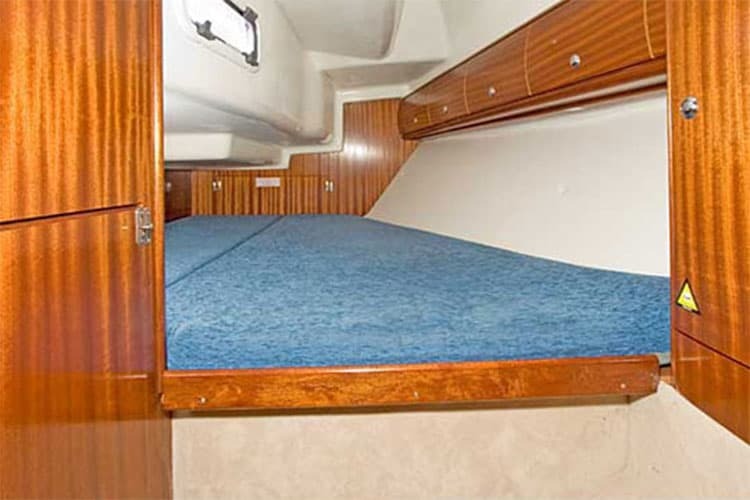 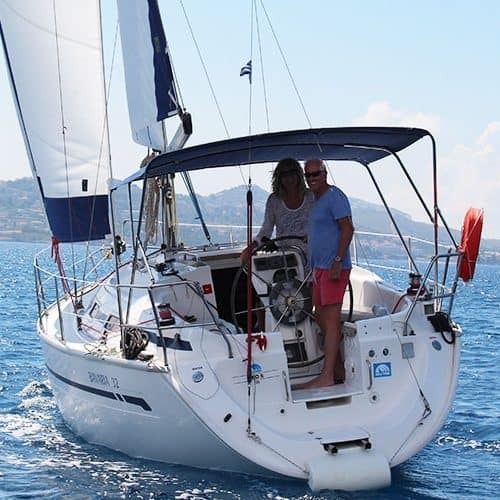 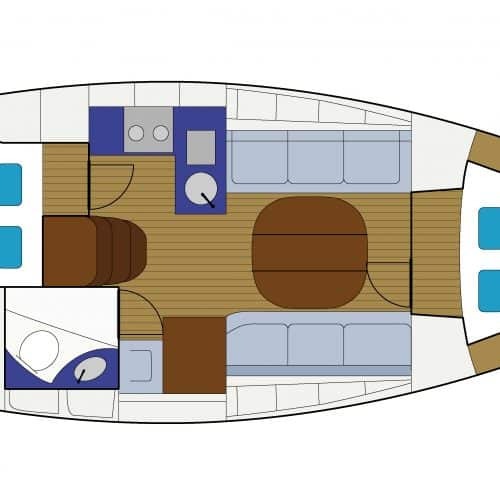 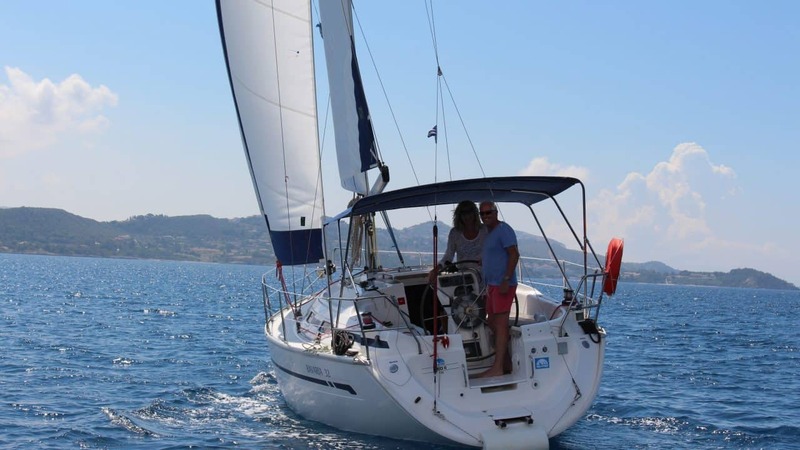 Yachts Elsa and Leo 11 are really spacious and brilliant for up to 5 persons living on board. 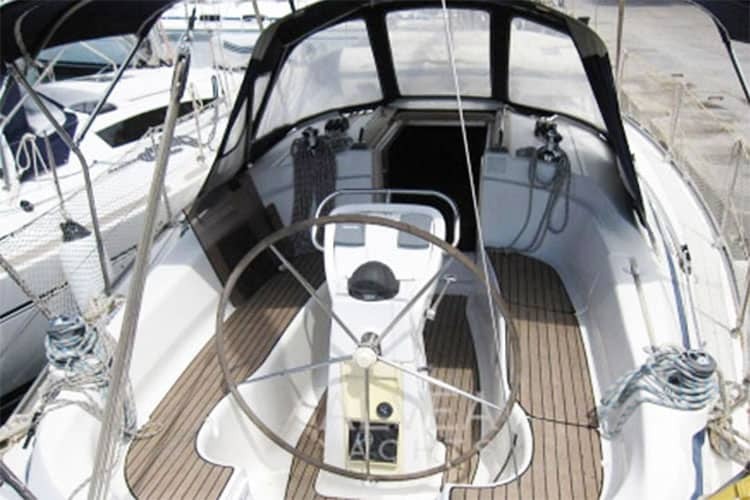 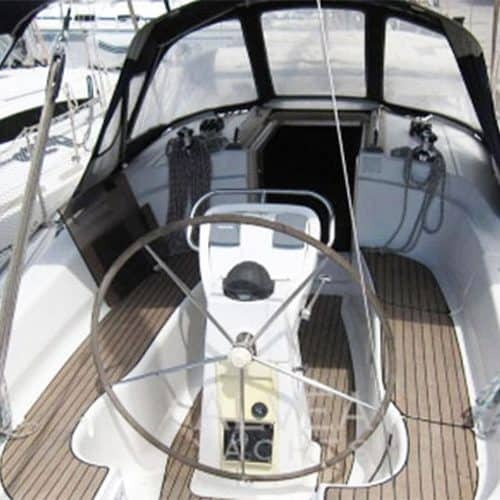 Easily sailed and controlled with in-mast furling, wheel steering and a powerful 20hp engine. 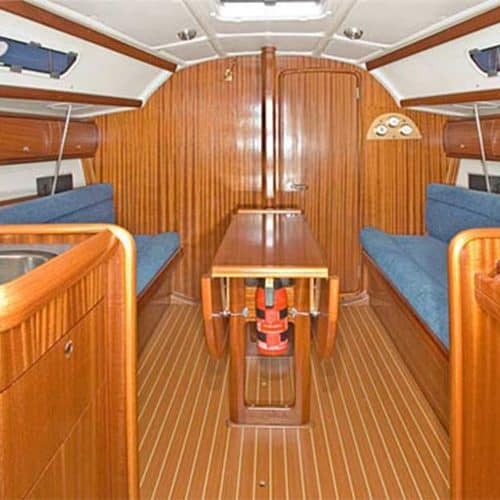 The folding mahogany dining table with two opening leaves is surrounded by comfy seats. 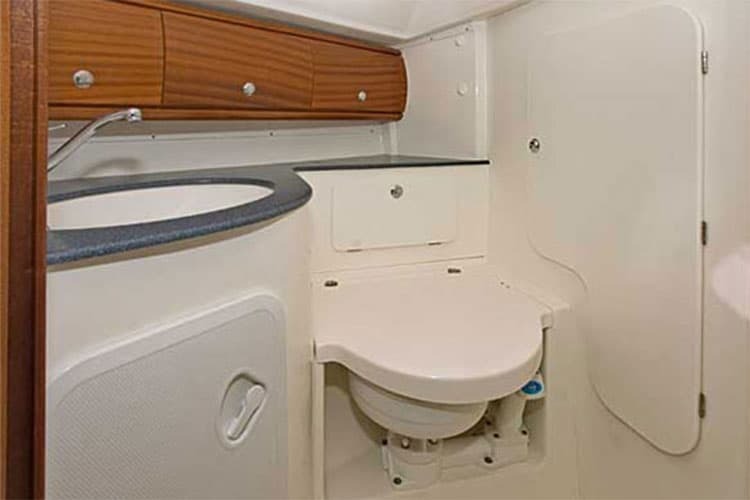 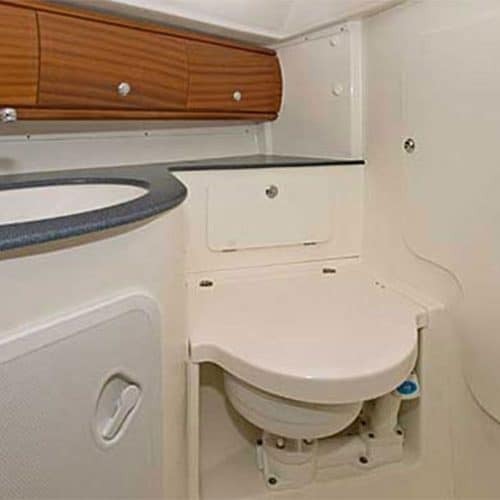 There is plenty of room to move comfortably through the saloon and the sleeping arrangements are provided in 2 spacious double cabins with one large toilet/shower area. 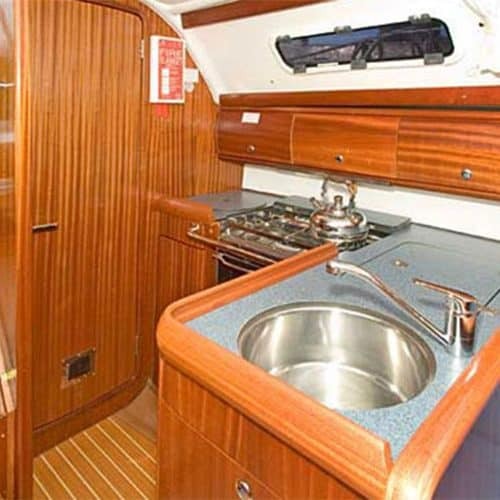 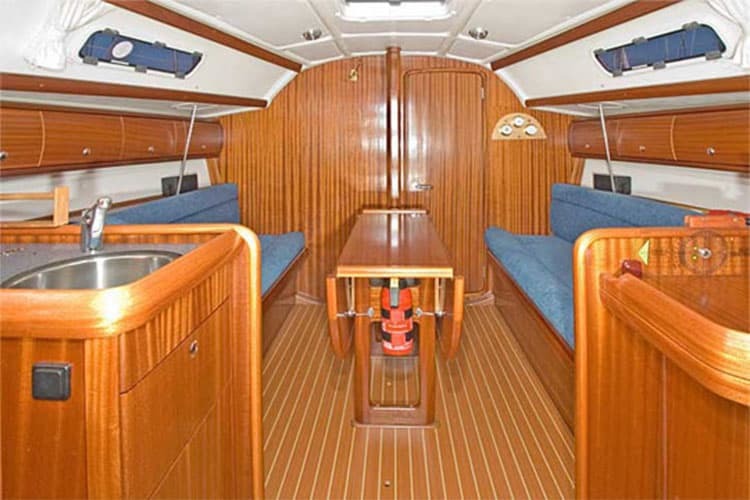 The galley is fully equipped with a 2-burner stove/oven and refrigerator, as well as ample storage and counter space. 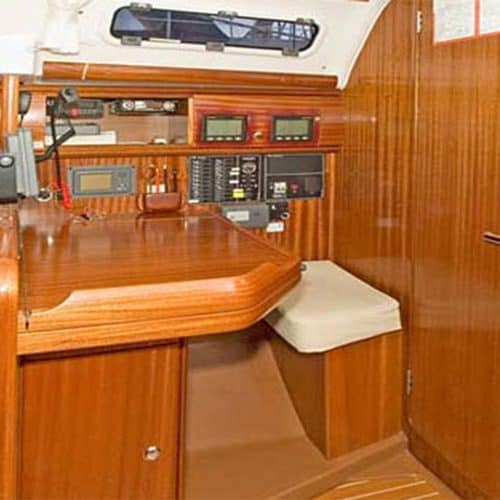 In the cockpit there’s loads of space and an easily accessible swimming platform and ladder.